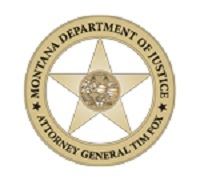 Montana Department of Justice says Judge James A. Haynes, the judge accused of a crime, should be investigated by that Judge, Judge James A. Haynes. The Bill Windsor Saga continues. Either Judge James A. Haynes or Deputy Missoula County Attorney Jennifer Clark destroyed the key piece of evidence in my criminal trial. I reported the crime to a dozen authorities and people. The only response came from the Montana Department of Justice via one of the accused, Jennifer Clark. The Montana Department of Justice says the accused judge should investigate. The accused judge denied my request to have him investigated. He said my motion was without merit. I handled a case against William Windsor, DC-the trial in State of Montana v. William Windsor. Mr. Windsor sent me the attached request for investigation of me, the judge, the detective and the victim. I am not able to conduct this investigation and based on the allegations, I believe that our local law enforcement also has a conflict. Thus, I am referring this to your agency for review. I have read Mr. Windsor’s complaint. It is my opinion that his complaints or arguments need to addressed with the court. Based on this I am not willing to accept this or conduct an investigation into his complaint. My “trial” in DC-14-509 in the Fourth Judicial District Court was held January 5-6, 2016. Several crimes were committed, and I am asking you to investigate and file charges. My key piece of evidence was destroyed; a bogus exhibit was fabricated. This violates MCA 45-7-207. The alleged victim (whose name I am not allowed to publish) committed perjury. He committed multiple counts of perjury in violation of MCA 45-7-201. The alleged victim knowingly made false statements to Judge Sam Warren. This violates MCA 45-7-202. The alleged victim knowingly made false statements to Jennifer Clark and Chris Shermer. This violates MCA 45-7-203. Unsworn falsification to authorities. The alleged victim knowingly made false statements to law enforcement. This violates MCA 45-7-205. False reports to law enforcement authorities. Judge James A. Haynes, Jennifer Clark, and Chris Shermer violated MCA 45-7-401. Official misconduct. Judge James A. Haynes, Jennifer Clark, Chris Shermer, the UNIVERSITY OF MONTANA EMPLOYEE, Claudia Denker-Eccles, Judge John W. Larson, Judge Karen Towsend, Tyler Dugger, Judge Sam Warren, Judge Kathleen Jenks, Clerk of Court Shirley Faust, and unknown others violated 18 USC 241 – Conspiracy against rights. Judge James A. Haynes, Jennifer Clark, Chris Shermer, Judge John W. Larson, Judge Karen Towsend, Tyler Dugger, Judge Sam Warren, Judge Kathleen Jenks, Clerk of Court Shirley Faust, and unknown others violated 18 USC 242 – Deprivation of rights under color of law. Exhibit D-1 should have staple holes. If it doesn’t, it has been tampered with as well. Exhibit D-2 had staple holes in the paper, but when I asked for the original from the Trial Exhibits notebook, Judge James A. Haynes handed me a stapled photocopy, not the original. NONE of my exhibits were stapled as I can prove with my copy of the Exhibit Notebooks and the Judge’s copy, which was given to me after the trial. If Jennifer Clark’s copy has any staples, then her exhibits will have been tampered with. I personally photocopied all exhibits at Staples. As three copies of each stack came off the copier, I three-hole-punched the original and the three copies of each stack and inserted them directly into the three-ring-binders behind a tab with each exhibit number. There was no stapling done ever. 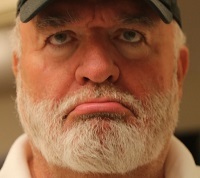 So, the Exhibit D-2 that Judge Haynes handed to me was NOT my exhibit. It did not have the staple holes which showed that it was what was served on me. This was apparently very important to the jury. This violates MCA 45-7-207: Tampering with or fabricating physical evidence. (1) A person commits the offense of tampering with or fabricating physical evidence if, believing that an official proceeding or investigation is pending or about to be instituted, the person: (a) alters, destroys, conceals, or removes any record, document, or thing with purpose to impair its verity or availability in the proceeding or investigation; or (b) makes, presents, or uses any record, document, or thing knowing it to be false and with purpose to mislead any person who is or may be engaged in the proceeding or investigation. (2) A person convicted of tampering with or fabricating physical evidence shall be imprisoned in the state prison for a term not to exceed 10 years or be fined an amount not to exceed $50,000, or both. This also violates MCA 45-7-208. Tampering with public records or information. (1) A person commits the offense of tampering with public records or information if the person: (a) knowingly makes a false entry in or false alteration of any record, document, legislative bill or enactment, or thing belonging to or received, issued, or kept by the government for information or record or required by law to be kept by others for information of the government; (b) makes, presents, or uses any record, document, or thing knowing it to be false and with purpose that it be taken as a genuine part of information or records referred to in subsection (1)(a); (c) purposely destroys, conceals, removes, or otherwise impairs the verity or availability of a record, document, or thing; or (d) purposely or knowingly misrepresents the person's identity or the use for which personal information is sought in order to obtain personal information from a motor vehicle record under 61-11-507, 61-11-508, or 61-11-509. (2) A person convicted of the offense of tampering with public records or information shall be imprisoned in the state prison for a term not to exceed 10 years or be fined an amount not to exceed $50,000, or both. This crime should ensure that a mistrial be declared and a new trial ordered. The alleged victim testified that he had received 300 pieces of mail from me. He claimed he had most of them at his home. I never sent him 300, 200, 100, or 10. Please send an investigator to his home, and secure whatever he has. This will prove that he committed perjury. I asked him to bring what he had to court on January 6, and he brought nothing. The alleged victim testified that he gave all the letters that came to him in his inbox at the University of Montana to the “U of M” Legal Department, yet he also testified that the University of Montana legal department did not provide legal services to him. This was a lie. This lie is proven by his testimony as the transcript will show. 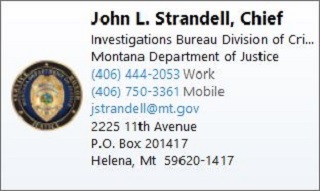 He claimed I possessed a gun during the commission of alleged stalking and that the gun was “on the property.” He identified the gun as a Taurus Judge, I never had a gun in Montana at any time, and I have not possessed a gun at any time from April 1, 2013 to December 6, 2013. I transported my firearm in a truck from December 6 – 8, 2013, and it has been locked in a storage unit ever since. My ex-wife, Barbara Windsor, can corroborate that his statements about the gun were false. The statements are material because they falsely portrayed me as a stalker and enabled the alleged victim to obtain an ex parte temporary order of protection base upon stalking. The alleged victim said in answer to a direct question from Jennifer Clark: “I am not a government employee.” But the University of Montana is a public university supported by the State of Montana. Employees of public universities are considered to be government employees. Jennifer Clark suborned this perjury. The alleged victim said he never sent any emails to me. He sent at least 88. He lied about this in his Petition and on the witness stand. Jennifer Clark and the Court had the proof. Jennifer Clark allowed him to lie and undoubtedly coached him to lie. She had the undeniable evidence, and she allowed this perjury. Judge James A. Haynes did not allow me to introduce my evidence to prove this was a lie, and he knew I had the evidence to prove it was a lie. The alleged victim testified “I never received a cease and desist letter from Barbara Windsor.” This was a lie. He did. I have a copy of it as well as the certified mail receipt. I was not allowed to present the evidence, and I was denied a subpoena to take a telephone deposition of Barbara Windsor to prove this and other lies by the alleged victim. The alleged victim also testified that the sworn statements in his Petition for Temporary Order of Protection were true. (Defendant’s Exhibit D-1.) In documents filed with the courts and provided to Jennifer Clark, I swore as to 15 false statements. Paragraph 1 of THE ALLEGED VICTIM’S sworn statement is false, does not constitute assault or stalking. I have the entire visit on film so I can prove the truth, and it is legal to film government employees in the performance of their duties, and filming anywhere on campus was approved by the University of Montana. Paragraph 2 of THE ALLEGED VICTIM’S sworn statement is false. I have the entire visit on film so I can prove the truth. Paragraph 3 of THE ALLEGED VICTIM’S sworn statement is hearsay and does not constitute assault or stalking. Paragraph 4 of THE ALLEGED VICTIM’S sworn statement is ridiculous, is hearsay, and does not constitute assault or stalking. Paragraph 5 of THE ALLEGED VICTIM’S sworn statement is hearsay, does not constitute assault or stalking, and the press may go anywhere they choose as a TV crew or motion picture crew that has obtained authorization and/or is on public property. Paragraph 6 of THE ALLEGED VICTIM’S sworn statement is hearsay and does not constitute assault or stalking. Paragraph 7 of THE ALLEGED VICTIM’S sworn statement is false, is hearsay, and does not constitute assault or stalking. Unnumbered paragraph 8 of THE ALLEGED VICTIM’S sworn statement (after numbered paragraph 7) is false, is hearsay, is ridiculous, and does not constitute assault or stalking. I never emailed BOUSHIE except to send him cease and desist notices in response to his stalking emails and online posts. Unnumbered paragraph 9 of THE ALLEGED VICTIM’S sworn statement (first paragraph on the page after the page containing numbered paragraphs 4-7) is ridiculous, false, and does not constitute assault or stalking. Unnumbered paragraph 11 of THE ALLEGED VICTIM’S sworn statement (third paragraph on the page after the page containing numbered paragraphs 4-7) is ridiculous, false, and does not constitute assault or stalking. Unnumbered paragraph 12 of THE ALLEGED VICTIM’S sworn statement (fourth paragraph on the page after the page containing numbered paragraphs 4-7) is ridiculous, false, is hearsay, and does not constitute assault or stalking. Unnumbered paragraph 13 of THE ALLEGED VICTIM’S sworn statement (first paragraph on the second page after the page containing numbered paragraphs 4-7) is ridiculous, false, and does not constitute assault or stalking. I published that I did not have a firearm, and wearing a bulletproof vest was clearly published as a protective measure due to the repeated death threats from THE ALLEGED VICTIM. I have never possessed a gun, knife, bow and arrow or any other weapon in Montana. True and correct copies of some of the published statements about weapons and the bulletproof vest are attached to the Motion to Quash Bench Warrant. I published online several times that I left my pistol in Georgia and had no weapon because I do not have a carry permit and it is problematic to have a weapon in a vehicle when traveling to all 50 states. I published several times that I was wearing a bulletproof vest at all times while in Montana due to the death threats by THE ALLEGED VICTIM. Unnumbered paragraph 14 of THE ALLEGED VICTIM’S sworn statement (second paragraph on the second page after the page containing numbered paragraphs 4-7) is ridiculous, false, and does not constitute assault or stalking. I have never “been at” THE ALLEGED VICTIM’S home. I drove by ONCE to take photographs from a moving vehicle on the public road using a telephoto lens for use in the TV special that I was filming. I sought and obtained permission from the Ravalli County Sheriff’s Department prior to going by. I did not return to THE ALLEGED VICTIM’S home ever again. Unnumbered paragraph 15 of THE ALLEGED VICTIM’S sworn statement (third paragraph on the second page after the page containing numbered paragraphs 4-7) is ridiculous, false, and does not constitute assault or stalking. I have massive evidence of THE ALLEGED VICTIM’S stalking, threats, violations of privacy in communications, harassment, and much more. The remainder of THE ALLEGED VICTIM’S letter or whatever it is similarly ridiculous, false, and does not constitute assault or stalking. I am happy to provide evidence of this as well as corroboration from other witnesses. The alleged victim has committed violations of MCA 45-7-201: Perjury. (1) A person commits the offense of perjury if in any official proceeding the person knowingly makes a false statement under oath or equivalent affirmation or swears or affirms the truth of a statement previously made when the statement is material. (2) A person convicted of perjury shall be punished by imprisonment in the state prison for any term not to exceed 10 years or be punished by a fine of not more than $50,000, or both. (3) Falsification is material, regardless of the admissibility of the statement under rules of evidence, if it could have affected the course or outcome of the proceeding. It is no defense that the declarant mistakenly believed the falsification to be immaterial. Whether a falsification is material in a given factual situation is a question of law. (4) It is not a defense to prosecution under this section that the oath or affirmation was administered or taken in an irregular manner or that the declarant was not competent to make the statement. A document purporting to be made upon oath or affirmation at any time when the offender presents it as being so verified must be considered to have been sworn or affirmed. (5) A person may not be guilty of an offense under this section if the person retracted the falsification in the course of the proceeding in which it was made before it became manifest that the falsification was or would be exposed and before the falsification substantially affected the proceeding. (6) When the defendant made inconsistent statements under oath or equivalent affirmation, both having been made within the period of the statute of limitations, the prosecution may proceed by setting forth the inconsistent statements in a single count alleging in the alternative that one or the other was false and not believed by the defendant. In that case, it is not necessary for the prosecution to prove which statement was false but only that one or the other was false and not believed by the defendant to be true. (7) A person may not be convicted of an offense under this section when proof of falsity rests solely upon the testimony of a single person other than the defendant. If the oath a witness takes is based upon a federal law, this is also a violation of 18 USC 1621 – Perjury generally: Whoever -- (1) having taken an oath before a competent tribunal, officer, or person, in any case in which a law of the United States authorizes an oath to be administered, that he will testify, declare, depose, or certify truly, or that any written testimony, declaration, deposition, or certificate by him subscribed, is true, willfully and contrary to such oath states or subscribes any material matter which he does not believe to be true; or(2) in any declaration, certificate, verification, or statement under penalty of perjury as permitted under section 1746 of title 28, United States Code, willfully subscribes as true any material matter which he does not believe to be true;is guilty of perjury and shall, except as otherwise expressly provided by law, be fined under this title or imprisoned not more than five years, or both. This section is applicable whether the statement or subscription is made within or without the United States. The alleged victim lied many times to Judge Sam Warren as detailed in section 2 above. His whole story was one gigantic lie. These lies violate MCA 45-7-202. False swearing. (1) A person commits the offense of false swearing if the person knowingly makes a false statement under oath or equivalent affirmation or swears or affirms the truth of a statement previously made when the person does not believe the statement to be true and: (a) the falsification occurs in an official proceeding; (b) the falsification is purposely made to mislead a public servant in performing an official function; or (c) the statement is one that is required by law to be sworn or affirmed before a notary or other person authorized to administer oaths. (2) Subsections (4) through (7) of 45-7-201 apply to this section. (3) Except as provided in 13-35-240, a person convicted of false swearing shall be fined an amount not to exceed $500 or be imprisoned in the county jail for a term not to exceed 6 months, or both. The alleged victim lied many times to Jennifer Clark and Chris Shermer. The taped witness interview with Chris Shermer reveals many lies. He lied about his email address. He lied about being served with a subpoena to attend a deposition. His whole story was one gigantic lie. This is a violation of MCA 45-7-203: (1) A person commits an offense under this section if, with the purpose to mislead a public servant in performing an official function, the person: (a) makes any written false statement that the person does not believe to be true; (b) purposely creates a false impression in a written application for any pecuniary or other benefit by omitting information necessary to prevent statements from being misleading; (c) submits or invites reliance on any writing that the person knows to be forged, altered, or otherwise lacking in authenticity; or (d) submits or invites reliance on any sample, specimen, map, boundary mark, or other object that the person knows to be false. (2) A person convicted of an offense under this section shall be fined not to exceed $500 or be imprisoned in the county jail for any term not to exceed 6 months, or both. The alleged victim gave false information to Detective Chris Shermer and others. This is a violation of MCA 45-7-205: (1) A person commits an offense under this section if the person knowingly: (a) gives false information to any law enforcement officer with the purpose to implicate another; (b) reports to law enforcement authorities an offense or other incident within their concern knowing that it did not occur; or (c) pretends to furnish law enforcement authorities with information relating to an offense or incident when the person knows that the person has no information relating to the offense or incident. (2) A person convicted under this section shall be fined not to exceed $500 or be imprisoned in the county jail for any term not to exceed 6 months, or both. (1) A public servant commits the offense of official misconduct when in an official capacity the public servant commits any of the following acts: (a) purposely or negligently fails to perform any mandatory duty as required by law or by a court of competent jurisdiction; (b) knowingly performs an act in an official capacity that the public servant knows is forbidden by law; (c) with the purpose to obtain a personal advantage or an advantage for another, performs an act in excess of the public servant's lawful authority; (d) solicits or knowingly accepts for the performance of any act a fee or reward that the public servant knows is not authorized by law; or (e) knowingly conducts a meeting of a public agency in violation of 2-3-203. (2) A public servant convicted of the offense of official misconduct shall be fined not to exceed $500 or be imprisoned in the county jail for a term not to exceed 6 months, or both. (3) The district court has exclusive jurisdiction in prosecutions under this section. Any action for official misconduct must be commenced by an information filed after leave to file has been granted by the district court or after a grand jury indictment has been found. (4) A public servant who has been charged as provided in subsection (3) may be suspended from office without pay pending final judgment. Upon final judgment of conviction, the public servant shall permanently forfeit the public servant's office. Upon acquittal, the public servant must be reinstated in office and must receive all backpay. (5) This section does not affect any power conferred by law to impeach or remove any public servant or any proceeding authorized by law to carry into effect an impeachment or removal. In addition, there was significant prosecutorial misconduct that will be addressed separately.